Say what you will about the style of games Quantic Dream makes, you can’t argue that they don’t leave a lasting impression. 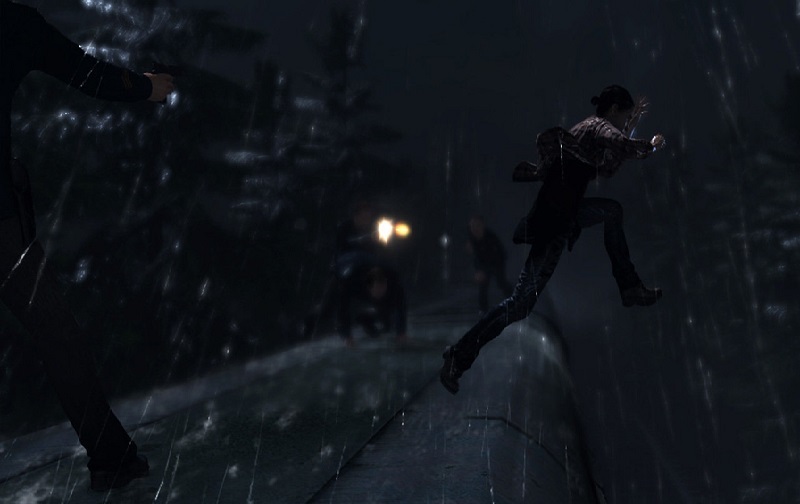 Whether it’s the bizarre Fahrenheit or murder mystery Heavy Rain, they steer clear of typical game conventions and lean closer towards films. Now, Beyond: Two Souls represents the closest they have come to fully realising their vision. Starring a fully mo-capped Ellen Page and Willem Dafoe, it definitely bears the presentation of a full motion picture. However, it is also the developer’s most scattershot production to date, leaving you both dazzled and bored. 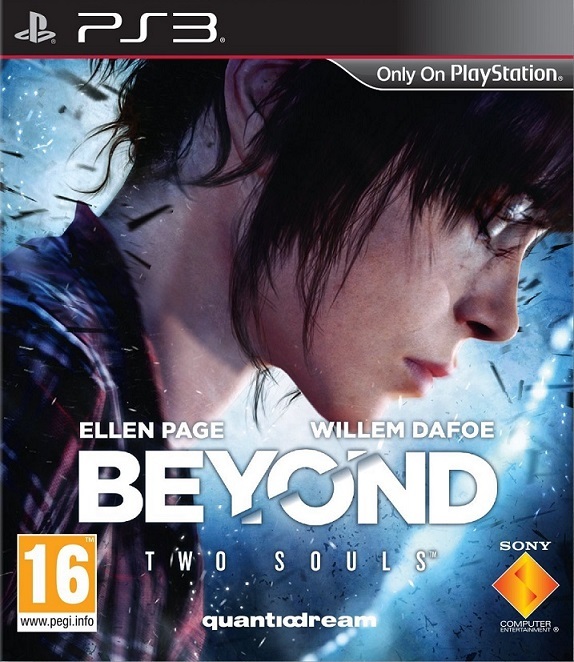 Beyond: Two Souls follows the life of one Jodie Holmes, played by young star Ellen Page, as we follow Jodie from when she is eight years old to an adult, though it is told in a non-linear order. But Jodie is not alone, as a supernatural entity known as Aiden is by her side. This brings her both blessings and curses – it causes her life to be very chaotic, shuffled through multiple lifestyles and left without constant adult figures. But Aiden brings benefits such as protection, the ability to possess certain characters and other powers. A few characters make frequent appearances throughout the story, such as Willem Dafoe’s Nathan Dawkins, who somewhat resembles a father figure to Jodie throughout the story, as well as other scientists, military figures and love interests. That last sentence should indicate how wide Beyond’s narrative net spreads. Jodie ends up in a myriad of situations throughout her life. These include: killing a military leader in a hostile warzone, surviving a brutal winter with a group of homeless individuals and, in a more mundane example, hosting a date at your new apartment. The sheer variety of situations keeps things fresh, but also leaves it feeling like a boiling stew, and some chapters are so left-field that it disrupts the tone of the narrative, such as the cringe-worthy tutorial which has you acting out a clichéd training montage straight from an 80s movie. 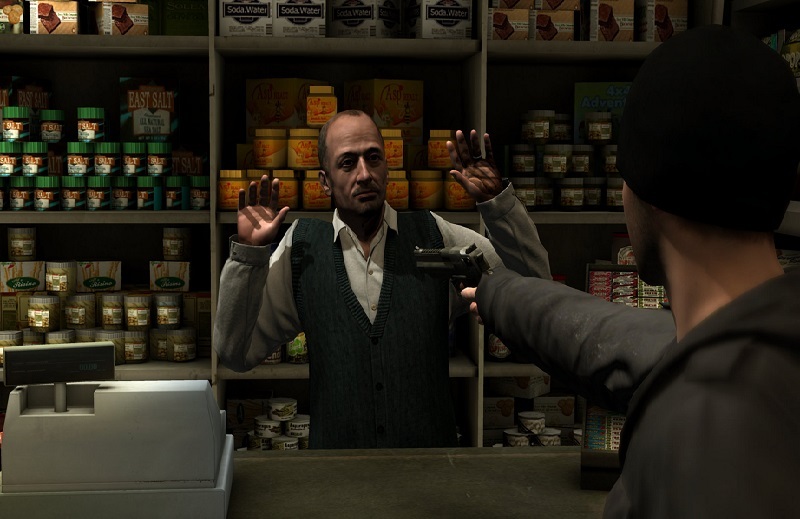 Undoubtedly, Beyond: Two Souls does not benefit from a non-linear narrative, often leaving the story feeling choppy. Beyond’s disjointed story could have been forgiven had the gameplay been more interesting, but all too often Quantic Dream leaves the gamer feeling like a passive participant. Sticking to the adventure game formula, you guide Jodie through multiple environments and use the right analog stick to interact with objects when necessary. The extra wrinkle comes from Aiden, who in most scenarios you can switch to and control. Flying Aiden can be a bit confusing, especially levitating the spectral force, but for the most part you won’t have too much trouble guiding this soul. He can mess about with objects, choke certain characters and possess them. The problem is that it feels too scripted, as you wonder why Aiden can possess this person, but not the six other standing in the same room. It feels limited, constrained by the story. In fact, it feels like much of the game is limited by the stringent story path. During one dialogue sequence, a character asks you to use your spectral powers, and you are given the option to accept, refuse and reject the person outright. However, no matter which option you choose, Jodie performs said action anyway, leaving you wondering what the point is. 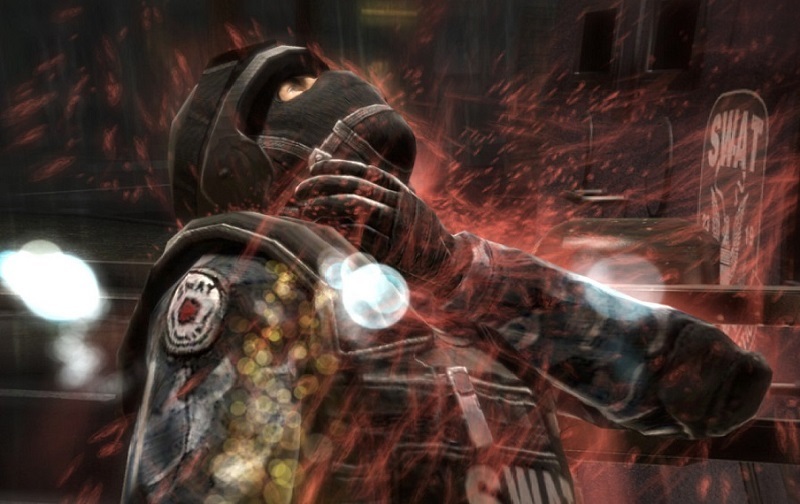 Combat scenes don’t fare much better, and are clunky in their own right. Rather than enter button prompts, a freeze frame will give you a small window to push the analog stick in a certain direction, which you must guess by Jodie’s movement. For example, if Jodie needs to duck under an object, you push the stick down. But failing these events never causes death, and while sometimes the story will slightly change to suit how much of a beating you took, it feels minimal. What this results in is a lot of boredom, to be blunt. The story never really manages to find its footing, and the minimal gameplay doesn’t keep you engaged. This is a shame, because from a technical standpoint, Beyond is quite a marvel. The levels are filled with visual detail, the soundtrack feels really well placed and the letterbox screen size feels suitable. The key point is the uncanny motion-captures of Ellen Page and Willem Dafoe, who bring their full range of acting and emotion to the story. Ellen Page’s performance is particularly praiseworthy, as while she doesn’t stray too far from most of her other performances, she brings a lot of character to Jodie which would otherwise be lost. Unfortunately, secondary characters are far blander and suffer from clichéd dialogue. Jodie’s story is a lengthy one, as it’ll take you a good twelve hours to get through the two dozen or so chapters. Post-game, trophies will likely keep you playing, as playing through scenarios with different results will often net you alternate trophies. There’s a hefty number of endings, the outcome of which can be changed depending on which characters you save throughout the story. You can also find some hidden collectibles while guiding Aiden, which unlock a host of videos and artwork. 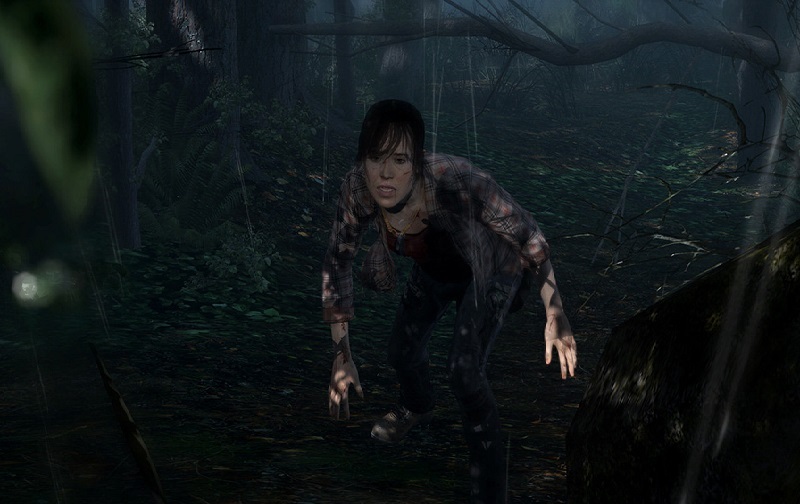 Beyond: Two Souls is remarkable, intriguing, misguided and scattershot all at the same time. It’s clear that Quantic Dream and David Cage’s full vision is in force here, making for an experience which is even closer to a movie than a game. What that leaves is an experience which relies heavily on its story to keep your interest, as the minimal gameplay and lack of consequence leave you feeling like a second fiddle. But because of the disjointed story and lack of a coherent tone, it’s hard to become invested. If the gameplay was as awesome as the technology which powered it, Beyond could have been a huge stepping stone in gaming storytelling, but as it stands, it ultimately feels too hollow to sustain interest.